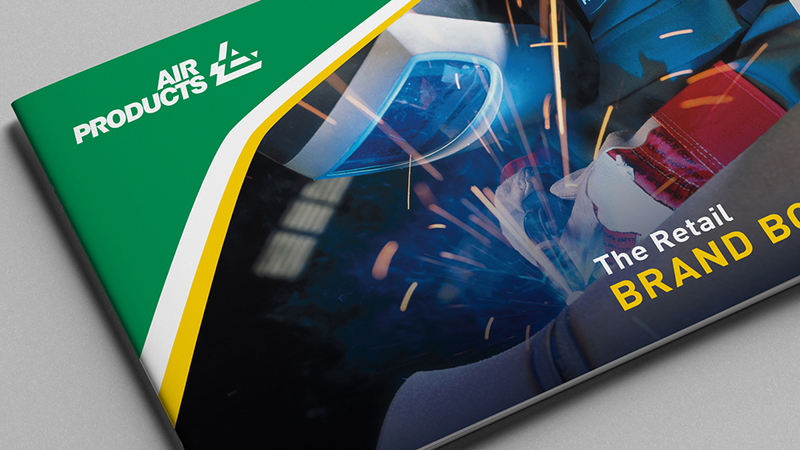 Our design team created a bold and innovative retail brand design to help Air Products increase its identity and curb appeal, resulting in increased in-store enquiries and sales. In the last few years, competition in the retail sector has been stronger than ever, due to the decline in consumer confidence and the rise of e-commerce activity. Innovation and differentiation are essential for any company to remain profitable. 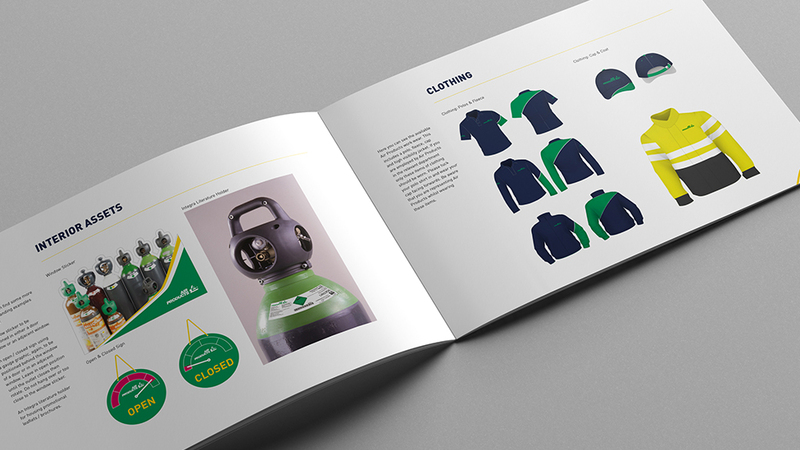 Air Products, a global leader in the supply of industrial gases and related technology and equipment, needed to stand out against their competitors and increase brand awareness. They needed to evolve their retail spaces: from sites with an industrial feel to attractive retail centres with plenty of curb appeal. 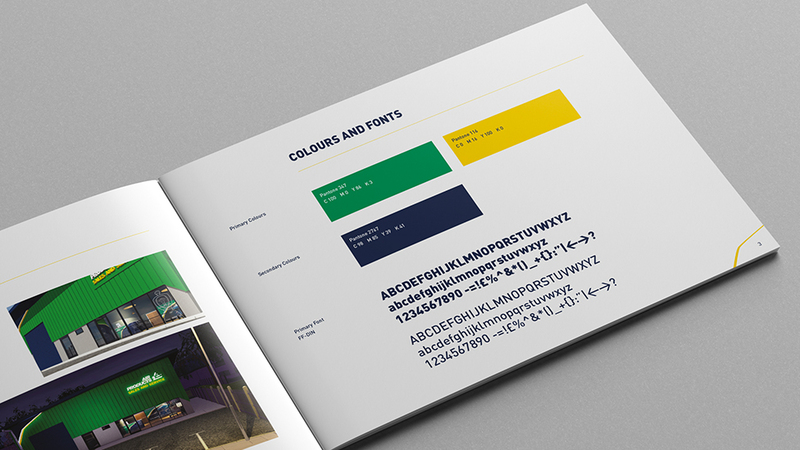 Evolving their current brand to become brighter, bolder, and more confident, the new brand design includes a new colour palette, new fonts suite and 3D visualisation that creates standout. We introduced the Momentum swoosh, which evokes our client’s quest for constant evolution. A darker blue helps the brand’s yellow stand out even more. 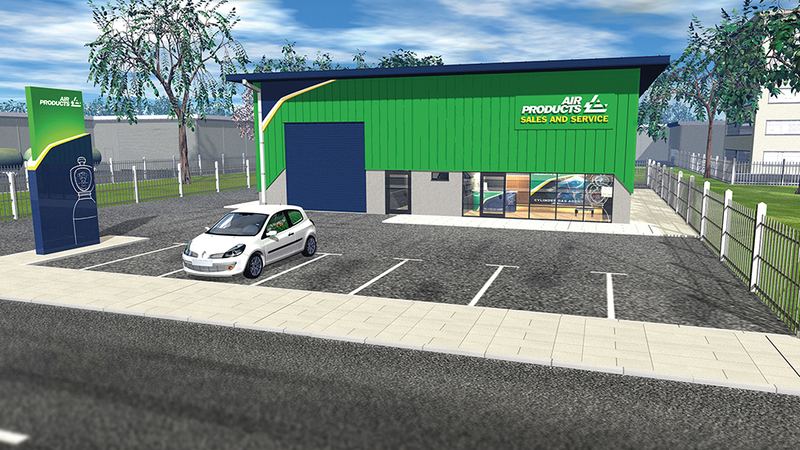 The new brand makes Air Products’ revitalised sales centres “pop” amongst busy retail and industrial parks. The new design was also applied to signage, and we created the look and feel for their new flagship store in Dublin. 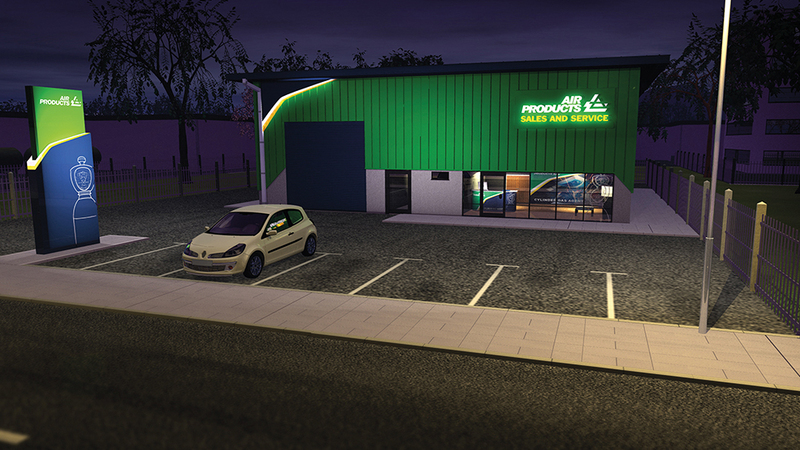 We applied the new brand to a variety of assets – trade signage, internal and external lit-up signage, totems, wall and window graphics, leaflets, staff uniforms, and we also produced a brand book to be distributed throughout the Air Products retail network. The new retail brand design reflects the culture of excellence and constant innovation our client has built their reputation on for almost 80 years of operation, and has contributed to a spike in sales.